Hey guys 🙂 Happy Wednesday. This week I thought I would share some inspirational photos using wood pallets. Wooden elements have been on trend when it comes to home décor for some time now. Some people may think its too industrial or only meant for lofts. This couldn’t be more far from the truth. 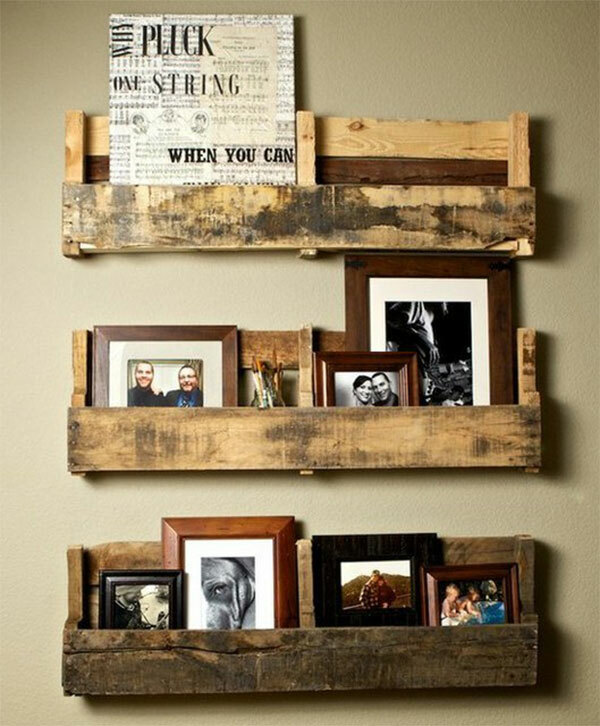 Re using old wooden pallets can be very inexpensive and you can get pretty creative when using them. I came across some great photos of different ways to use them. Enjoy. 1. 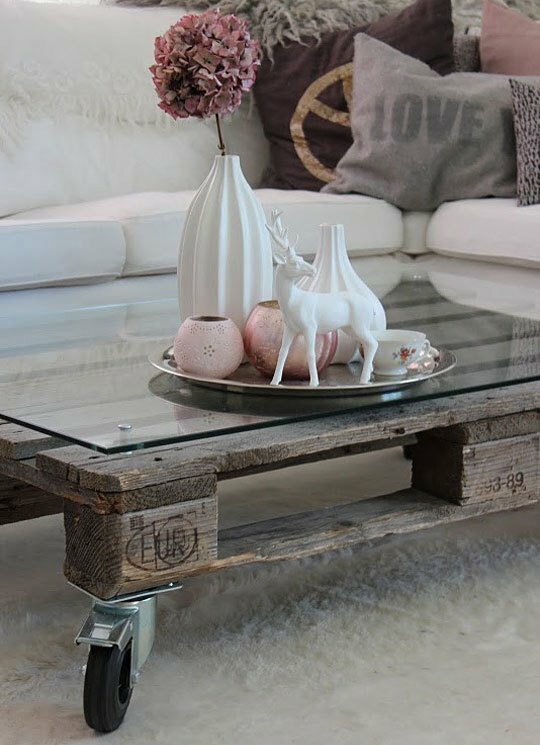 Attach some wheels from your local hardware store and a glass table top, this makes a stunning coffee table! 2. 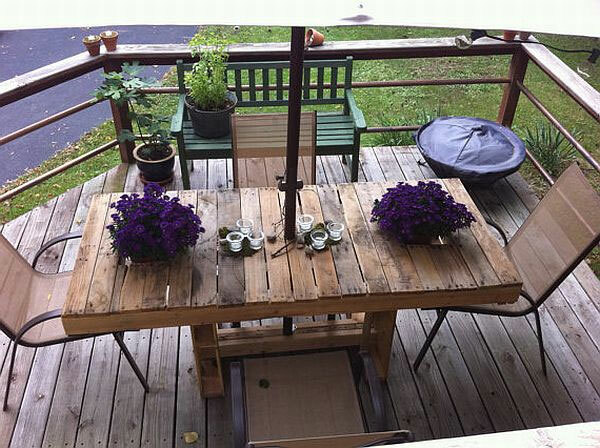 This patio table is made from wood pallets, adds some rustic appeal outdoors. 3. You can always find cushions everywhere. 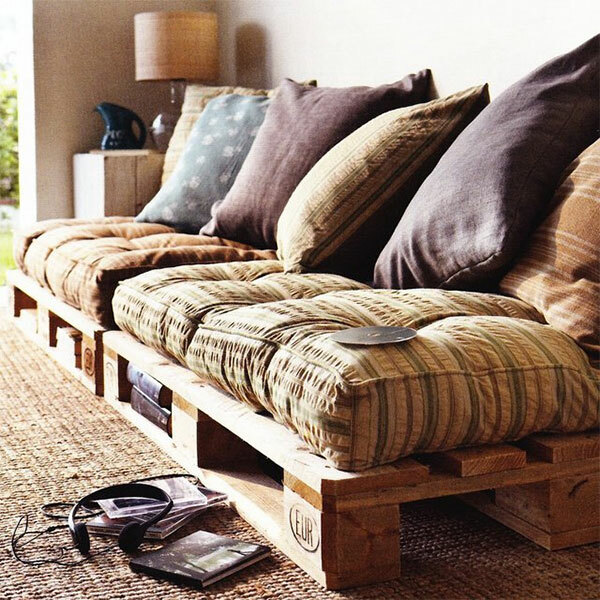 Why not make your own lounge sofa using wood pallets. I just love this idea! 4. Easily create shelves for a washroom or an office. 5. 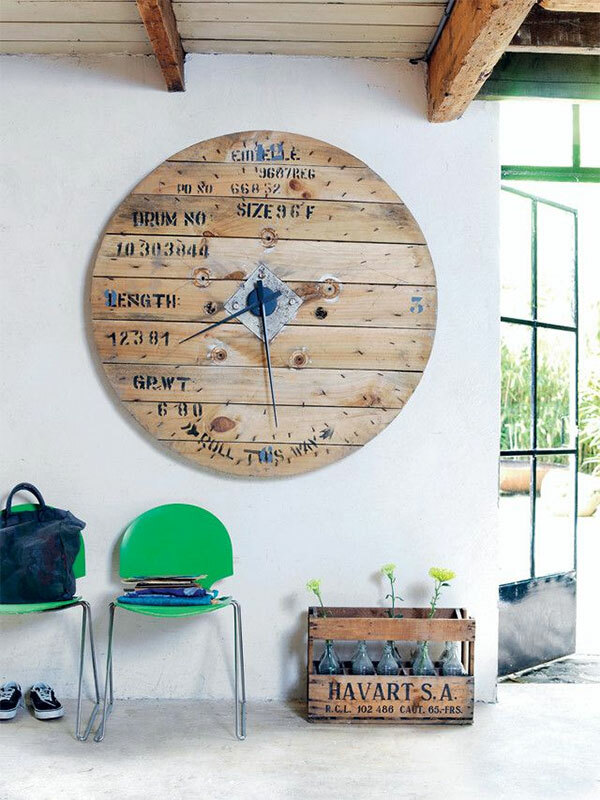 DIY Decorative clock using a wood pallet! 6. This was one of my favorites. 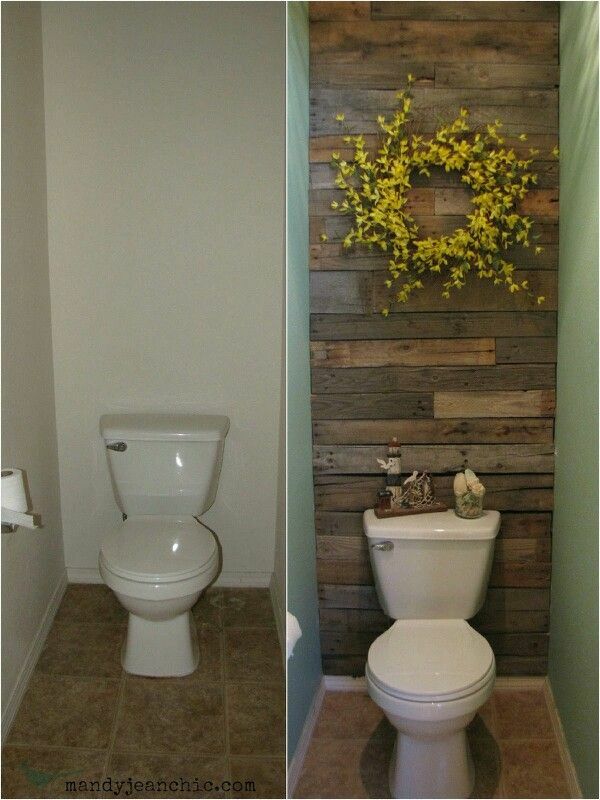 Create a decorative wall using wooden pallets. This instantly adds character to this bland powder room. 7. Great way to display photos and to add some texture to a space. 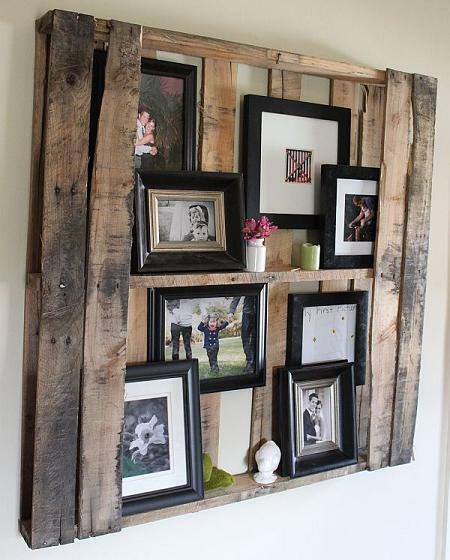 Well I know these photos have given me some great inspiration on how to add some rustic elements using wood pallets. You don’t always have to break the bank when adding to the look of your home this can be done inexpensively and be a fun DIY project!